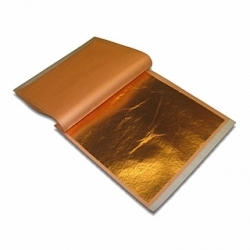 Copper Leaf is generally used for gilding with metal and can be used with many alternative photographic processes. These booklets of copper contain 25 square sheets, 5.5" x 5.5" in size. Recommended for use on item #702442 Vidalon Vellum 9x12/50 sheets. 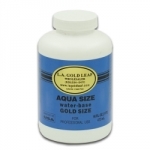 Item #200825 Rolco Aquasize is require for adhesion of metal leaf to your selected surface.